Rich Cahill is a tattoo artist, painter, musician, and protester. 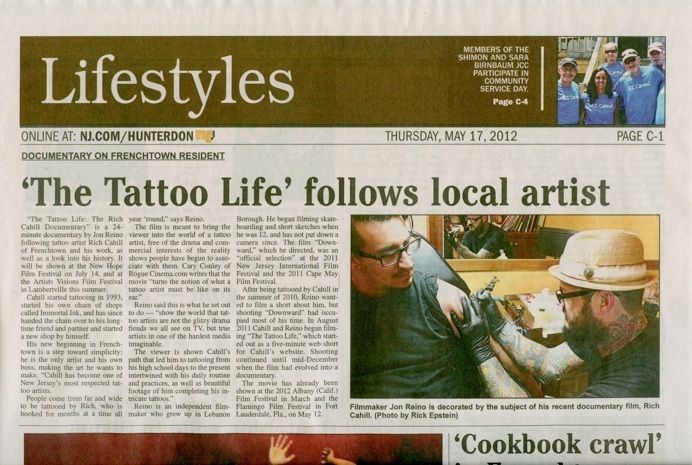 After starting a successful chain of tattoo shops, Immortal Ink, Rich has sold his business to start a fresh art studio and tattoo shop in Frenchtown, New Jersey where he can express himself in his own unique way. 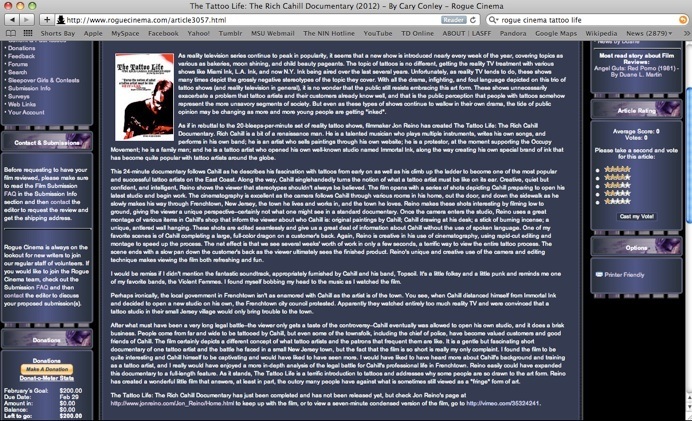 The Tattoo Life is the story of Rich's career and a portrait of his life, all leading up to his Frenchtown Studio. Featuring interviews with Rich, his clients, Frenchtown residents, fellow tattoo artists, and even Frenchtown's chief of police (also a client). This piece is captivating for tattoo aficionados and art fans alike, and attracts more than just artists with his charisma, personality, and interesting talents. This film stands out from a genre over-saturated with drama and 'reality' with it's focus on the art and truly unique cinematography, and diverse soundtrack featuring music by Rich himself and other bands he is associated with.